Article in advance of the Recombinant Media Labs and Gray Area’s Don Buchla Memorial Festival. Don Buchla isn’t exactly a household name, but that’s changing, slowly but surely. Buchla, who was born outside Los Angeles and spent the majority of his life in Berkeley until his death in September 2016, was an engineer and inventor whose pioneering synthesizer designs and electronic instruments made an indelible mark on contemporary music-making, the extent and depth of which we’re only beginning to understand fully. To celebrate his life and legacy, the longstanding San Francisco-based audio research organization Recombinant Media Labs (aka RML) joins forces with Obscura Digital, the Associates of Don Buchla, and local nonprofit Gray Area to host the Don Buchla Memorial Concerts on Saturday, April 22 and Sunday, April 23. 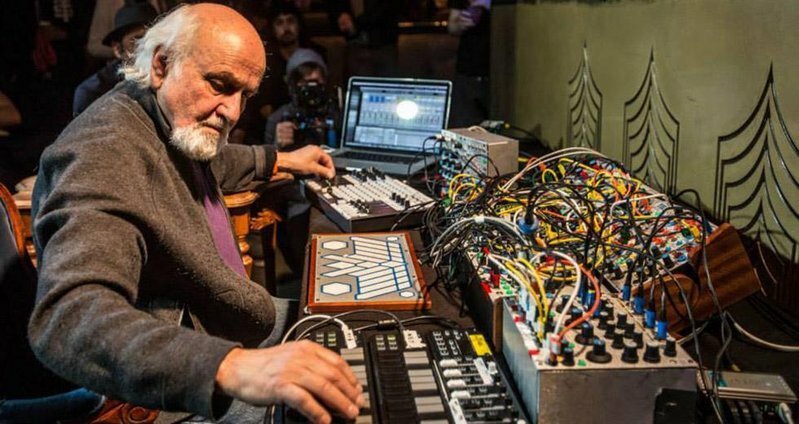 The two days and nights of electronic and synthesizer music, performed at Gray Area’s theater in San Francisco, will be helmed by none other than grandfather of Buchla-based electronic music himself, Morton Subotnick. Subotnick and Buchla are inextricable; in fact, it was at Subotnick’s behest during the early days of the San Francisco Tape Music Center (which Subotnick co-founded) that Buchla designed his first synthesizer, the Buchla 100 series, which Subotnick used to record his first electronic composition, Silver Apples of the Moon. This in-built obtuseness was a blessing — and a curse, because the difficulty of using Buchla’s instruments meant they were commercial failures. 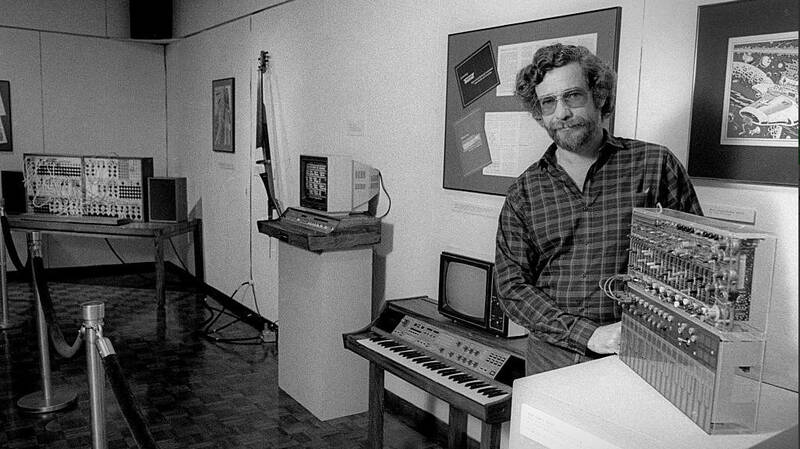 If we consider Don Buchla and Robert Moog to have waged a war of design philosophy (“esoteric” vs. “accessible,” reductively), Moog was the clear winner: “Moog” is practically synonymous with “synthesizer” the way, say, Kleenex is with tissue. His products dominated the market — and, summarily, the way electronic music sounds. But it proved a blessing for those artists and musicians willing to do the work necessary to learn how to wrangle Buchla’s instruments. Electronic music innovator Suzanne Ciani used a Buchla synthesizer to create one of the most recognizable jingles ever made, the Coca Cola “Pop ‘n Pour,” which is simply the magic of Buchla at work — no cans of Coke were cracked open in its recording. The Buchla Memorial Concerts feature a staggering number of renowned electronic musicians, including rare appearances by both Subotnick and Ciani, and feature day-into-evening schedules on both Saturday and Sunday. For this author, Sunday is the standout, featuring headlining performances from Ciani and two of electronic music’s most thrilling contemporaries, Keith Fullerton Whitman and Alessandro Cortini, both of whom manage to coax sounds out of their synthesizers that sound truly like nothing else on this Earth. Above all, these concerts pay homage to the Bay Area’s numerous electronic music pioneers, who pushed boundaries and realized their visions to the fullest possible extent. Let us celebrate them. The Don Buchla Memorial Concerts are ongoing from Saturday, April 22 through Sunday, April 23. Specific performance times, tickets ($25 and up) and more info here.